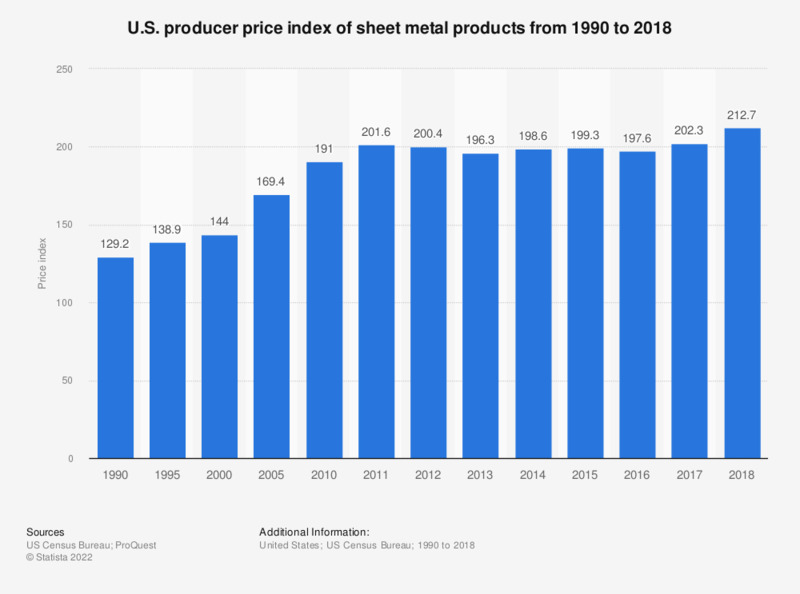 This statistic shows the producer price index of sheet metal products from 1990 to 2017. Sheet metal products had an index of 202.3 in 2017, compared 1982, which was set as the base year (1982 = 100). The values for 1990, 1995, 2000, 2006, 2007 and 2008 are taken from previous editions of the Statistical Abstract of the United States.